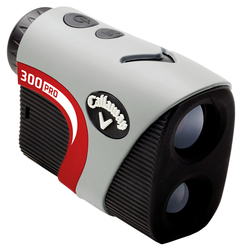 The New Callaway 250+ Laser Rangefinder, delivers precise distance measurements in a sleek, compact design. 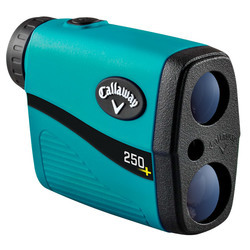 The 250+ now features our P.A.T with Pulse Technology, which provides the golfer with a short vibration to confi rm that the laser has locked on to pin. 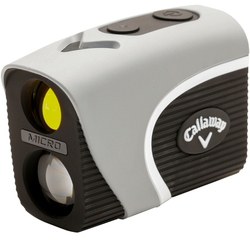 The Callaway Micro Rangefinder delivers the benefi ts of both Laser and Prism technology within one ultra compact, lightweight device. 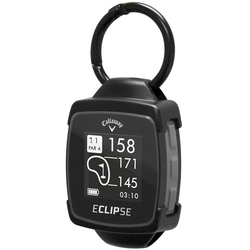 For courses that have flag sticks with built-in reflectors, Prism mode is ideal for quickly acquiring the distance to the pin with minimal effort and a high degree of accuracy. To acquire distances to other objects. Laser mode allows you to scan the landscape for distances to hazards, trees, front of the green, etc. When playing a course without flag stick reflectors, simply stay in Laser mode throughout the round and engage P.A.T (Pin Acquisition Technology) to lock onto the flag quickly and accurately. 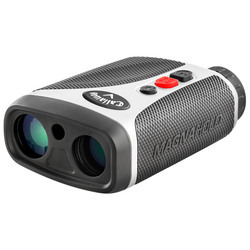 The Callaway EZ Laser Rangefi nder featuring P.A.T. (Pin Acquisition Technology) delivers precise distance measurements while being simple and convenient to use. EZ Mode allows the user to scan the fl agstick to quickly acquire accurate distances without having to be completely steady when aiming. Simply press the EZ Button and begin scanning to lock onto the pin! 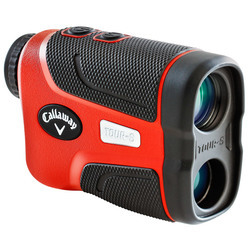 The Callaway TOUR-S Laser Rangefinder utilizes our most advanced laser technology in one device. With P.A.T. (Pin Acquisition Technology), Slope Technology, and Prism Mode, the Tour-S is capable of providing exact distance measurements to virtually any target!